Some things never change—they’re immune. Immune to progress, evolution, rites of passage, growing up. They’re so endemic, core, woven into every last fiber of your being that there is no compromising them. They nag at you, pull, and always win. And that’s how it was with Ludie. 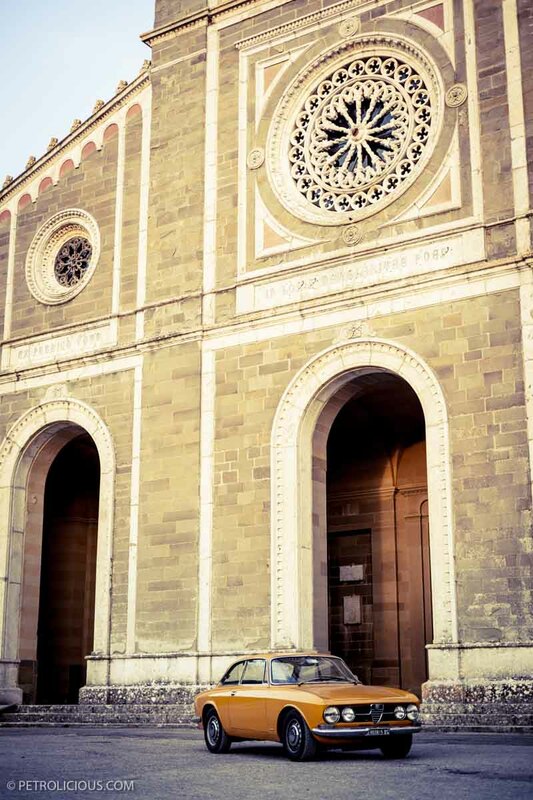 There I was, just married in Florence. My wife, Ludie, and I were ready for a new chapter in our love story. 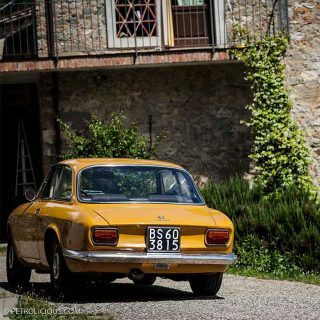 Perhaps our wedding somehow made everything look more vibrant (glimmering Tuscan yellows and warm terracottas), sound more melodious (a constant excitement buzzing in the air), or maybe it’s just that certain dreams are chronic. 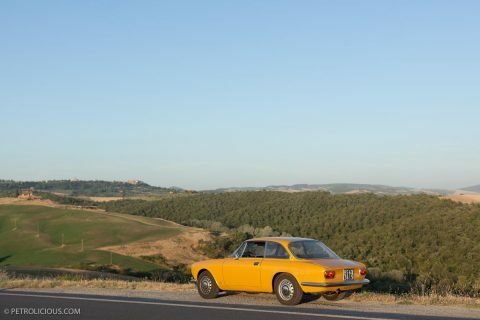 Sure, they sometimes go into remission but only temporarily; they often relapse and recur, and I couldn’t get my dream of driving through Tuscany with Ludie out of my mind. 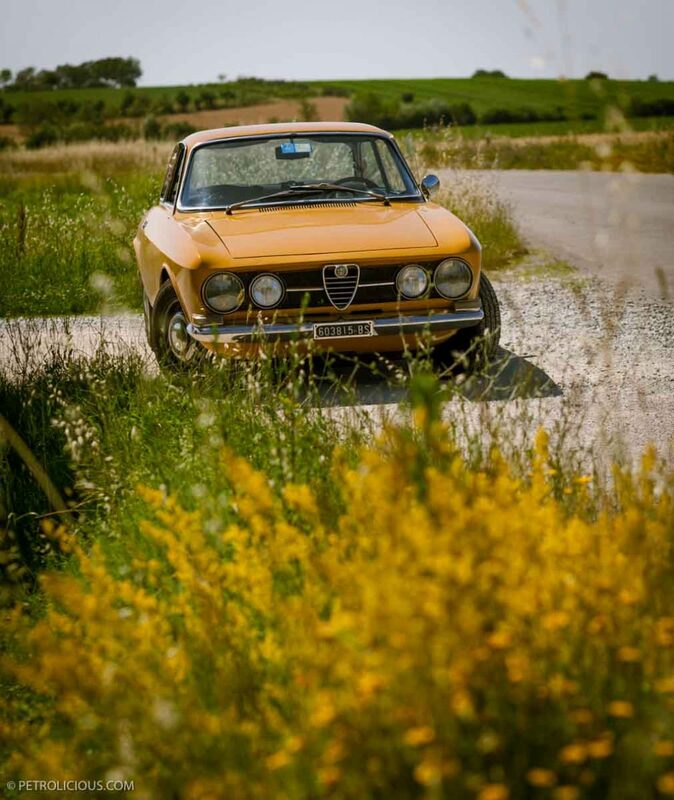 A honeymoon wouldn’t be complete without her. Luckily, these types of dreams—the really critical ones—are also infectious: Kika was on board. 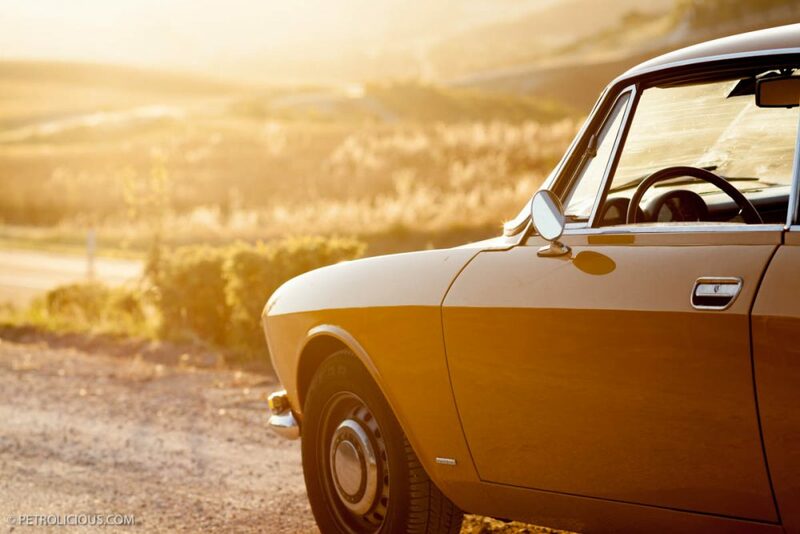 Together, we cast aside convenience, bid farewell to practicality. 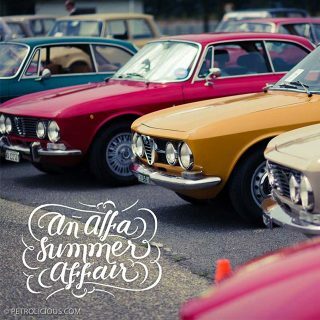 We jumped into our Alfa Romeo GTV, ready to brave the Tuscan heat. First stop: Cortona. Driving on the Autostrada del Sole (or the A1) was brilliant. Ludie basked in the sunshine, challenged speed limits, and laughed at the smooth, straight roads with her distinctive roar. The handling issue was hardly noticeable on the highway. 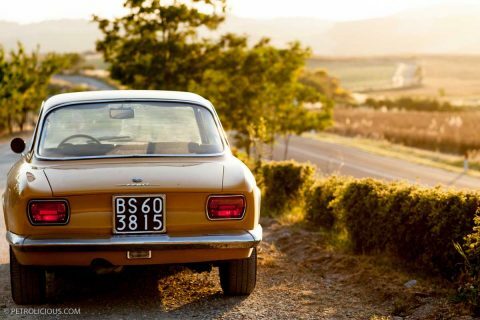 Fellow drivers whistled and hooted “Ciao bella!” with a natural, innate impulse to admire anything beautiful. Older gentlemen tipped their hats; the younger ladies gushed. Ludie was a flame, a real sweetheart. With temperatures in the 90’s, the heat was approaching unbearable. The humidity was worse. Good Ole Ludie regaled us with her old school ‘AC’. A simple flip of those wonderful triangular side windows, shot a constant blast of warm air that was refreshing—at least in theory. Her vinyl seats also did their part, providing an incredible built-in feature to continually hydrate our backs. We called our hotel, the imaginatively named Hotel Italia, in advance to inquire about unloading our bags, knowing full well that is was located in the center of the town. As we pulled into Cortona, we were relieved to see Hotel Italia confirmed as one of the two that allowed its residents to unload within the city’s walls. We missed our turn-off two times, circling the town with each mistake, smiling apologetically to pedestrians that pressed themselves against the walls to make room for us to pass. The street was too small to be remarkable. The hotel was not—it was breathtaking. We found the loading zone, which essentially meant waiting in the middle of the road, stopping traffic. Luckily, there wasn’t any. We peeled our sweat-drenched selves off Ludie’s seats and hurriedly unloaded with embarrassment. 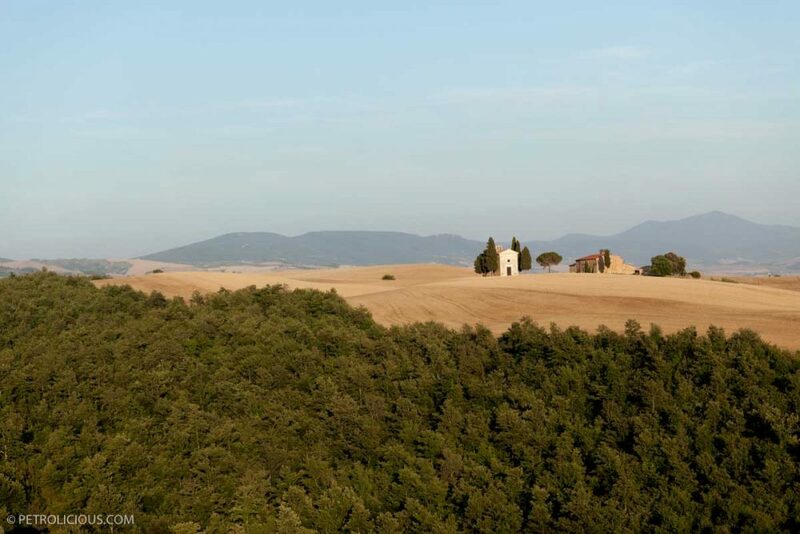 I could go on endlessly about the beauty of this small, quaint, and charming town, the gorgeous location for the Under the Tuscan Sun rom-com that got countless middle-aged American divorcees lusting after run-down countryside villas. I could even attempt to describe the sublime dance of the swallows that took place every morning and evening, amidst the sun’s changing rays or portray the camaraderie of locals gathered around TV sets pulled out curbside to watch Euro Cup football. I could depict watered-down meals that fell short of expectations for this region and antique markets that transported me to years long ago. Our trip had much greater treasures in store for us. Cortona presented us with two delightful gifts: Venisio Pagnani and The Forbidden Zone. 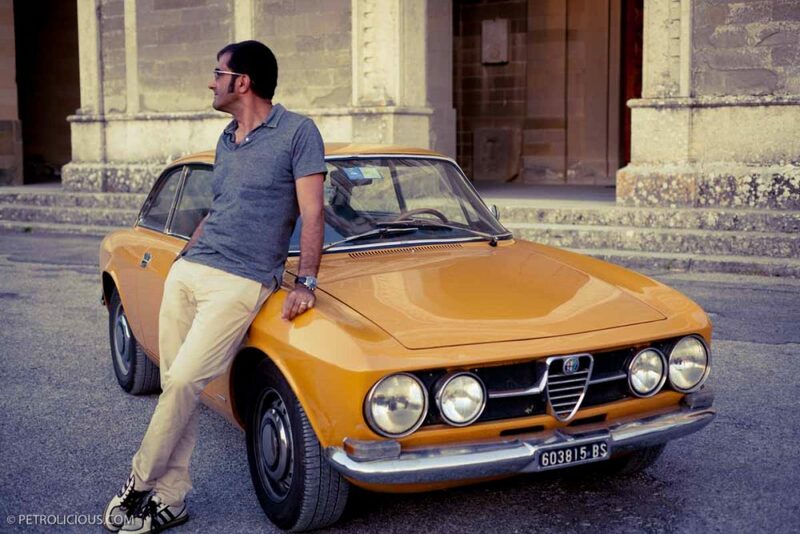 It was an Alfa Romeo Matta that led us to Venisio Pagnani, one day as we were strolling aimlessly down a narrow street. With her newly but sharply trained eye for interesting cars, Kika spotted it covered in tarp. She was so thrilled at her discovery, so proud of now elevating her position in Alfisti hierarchy by spotting this find, that she insisted we find its owner. I incredulously followed her as she sniffed out a trail, peered through garage doors, pried them open with conviction, and trespassed. Until…there, right before us, was a treasure trove of classics. From amongst them, out pops a sprightly, old man, 75-ish, ready to share his world like a ringmaster parting the curtains to a cabinet of curiosities. 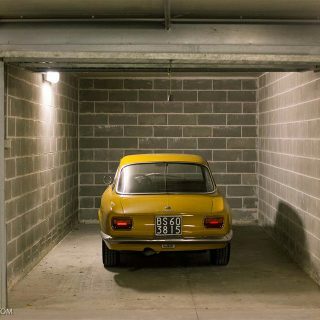 We spend hours in his garage, listening to Venisio Pagnani’s amazing tale. Friends and locals gather as well, with each also wanting to contribute a bit of their own. Pagnani’s neighbor, from across the street, had a particularly interesting story to tell. He invited us to his house, pulled out photos, drawings, and books. The unassuming, little character turned out to be a highly requested muralist commissioned by politicians and celebrities to produce decorative murals and trompe l’oeil pieces. He showed us his portfolio, including details used in Taschen book covers. 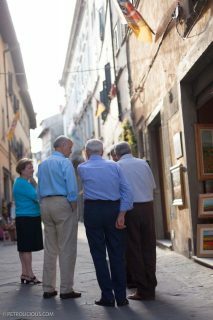 It was such a precious opportunity to be pulled into the different lives these Cortona locals presented to us. Reeling from these personal histories, we continued on through the narrow streets, climbing the perched town, meandering this way and that, winding through medieval architecture. My feet started to hurt, but maybe that was just an excuse, an excuse for the temptation that started to engulf me. I found myself soon taken over. My eyes started searching for surveillance cameras, my notebook documenting the number of local police, my mind making a mental map of the roads, the twists, the turns. My heart ached to drive Ludie through the Forbidden Zone, the banned drive through the center’s walls, made illegal by pedestrianism initiatives. I felt deprived. Ludie was exiled. The more warning signs I noted, the greater my lust. “You only live once,” I reasoned. I grabbed Kika’s hand and sped downhill to where Ludie waited, lonesome under a tree decorated with swallows. Without delivering any explanations or rationale, I drove the two ladies through The Forbidden Zone. 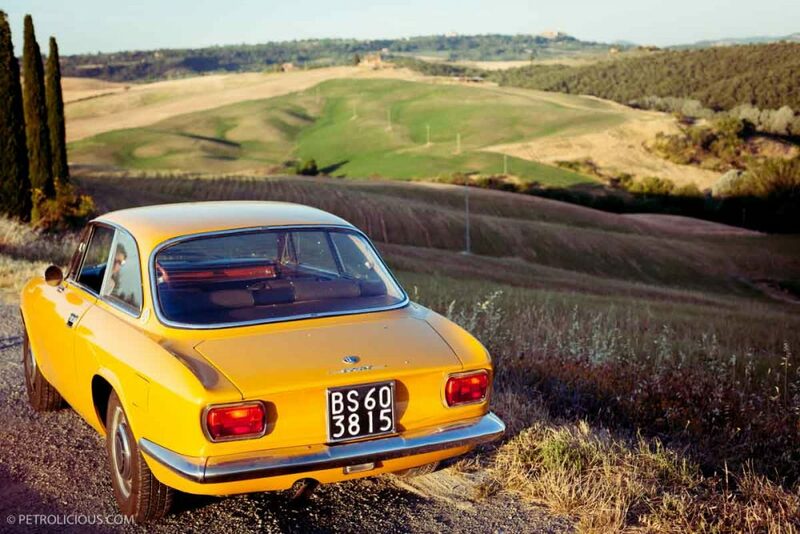 We climbed the hilltop, revving RPMs along steep grades, and forcing pedestrians back against those walls. Ludie navigated pathways so narrow they couldn’t be called streets. They were pathways that would shave SUVs down to a respectable size. The Forbidden Zone was a real treat, a pleasure for both Ludie and me. We made it all the way up to the main cathedral at the top, embraced a spectacular view of the whole of Valdichiana, and snapped a few pics as evidence of our trip through The Zone. 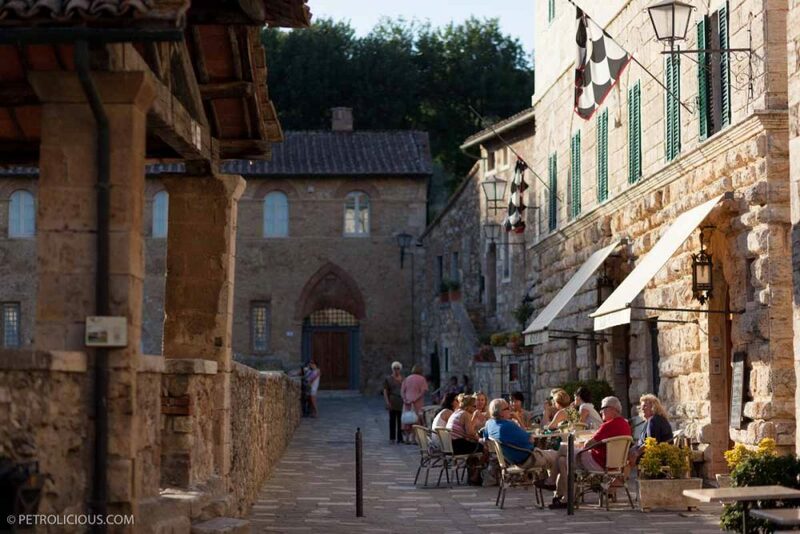 While Cortona was a wonderful destination in and of itself, it was also a strategically located for day trips. The rest of the honeymoon we spent exploring the region. In Perugia, we strolled through the underground city, designed to allow its citizens to continue their normal life during the war: an exact duplicate of the city up above. We wondered at the oddity of modern day people going about their contemporary lives, passing through it retro-futuristic, eerie architecture. We visited its Renaissance period museum, displaying local artists who constantly seemed to lag at least 100 years behind their Tuscan counterparts in both style and technique. 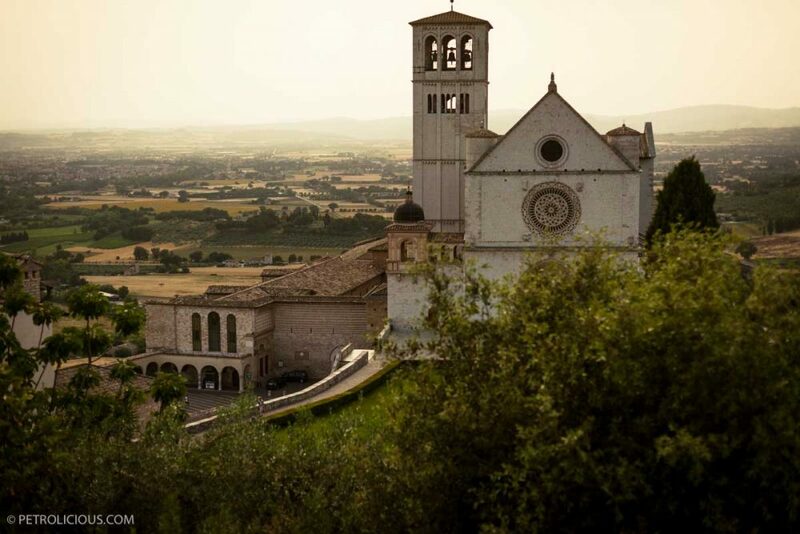 We visited Assisi and its famous cathedral where Giotto detailed St. Francis’ life, the church was opulent and hypocritical in light of the Saint’s devotion to a life of poverty. We scratched our heads in wonder as tourists lined up to pay for blessings, from a ticket window with a priest ready to bless (or at least, that’s how it seemed). We passed prophets, dressed in burlap, talking in tongues. 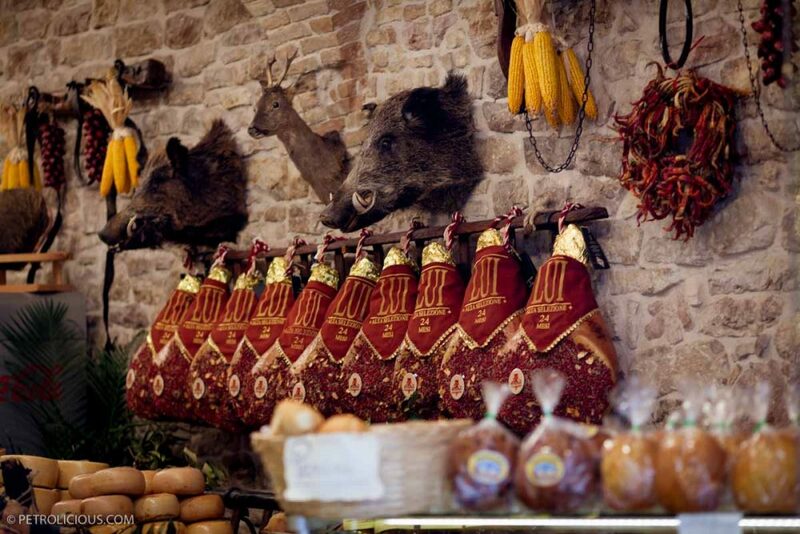 We sampled salumi and cheeses, looked through jars of goods, olives, and sausages shaped like pigs in a delicatessen called Cacio Pepe. 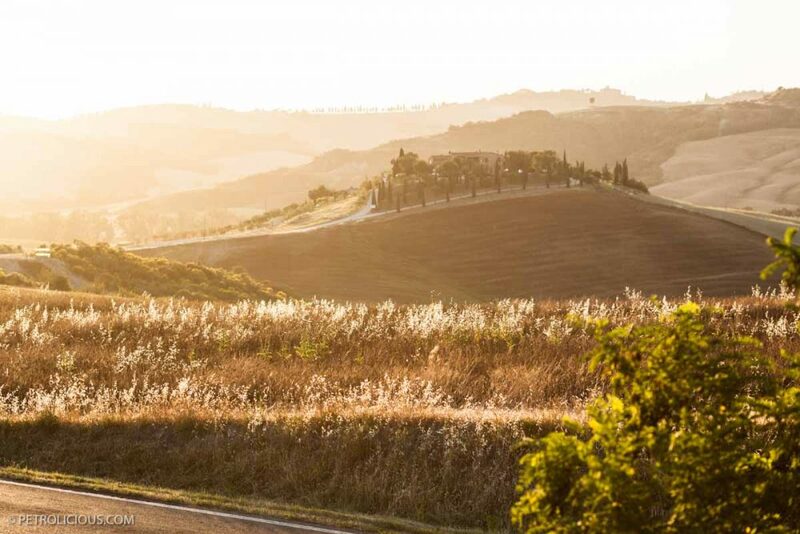 We sipped Vino Nobile in Montepulciano. 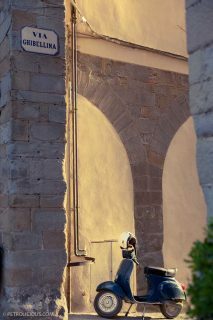 We studied Pienza’s imposing architecture. We marveled over Bagno Vignoni’s impressive thermal waters. 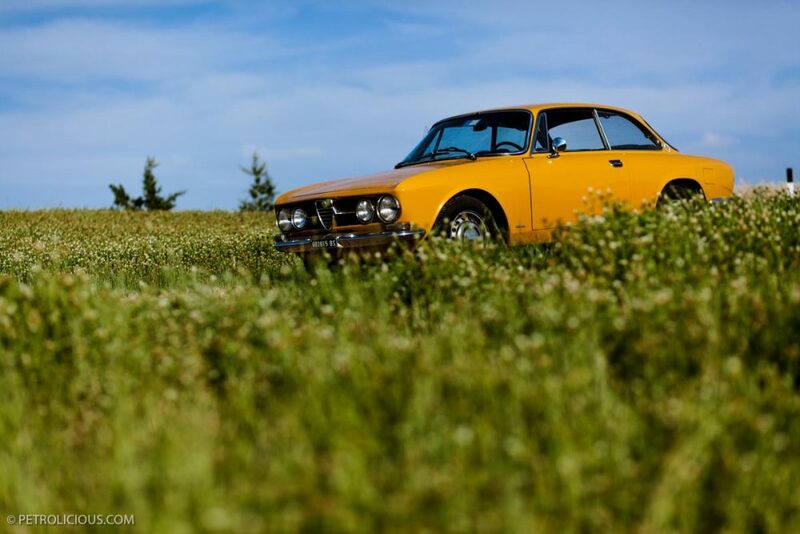 And all throughout this, we drove through the delicious country-side roads I so lusted after: rolling hills compassionate against the sky, fields of wheat and streaks of color, cypresses bowing with the wind as we passed, and Ludie’s engine thundering applause at the sight of it all. We were all in perfect harmony. It was our honeymoon, after all. 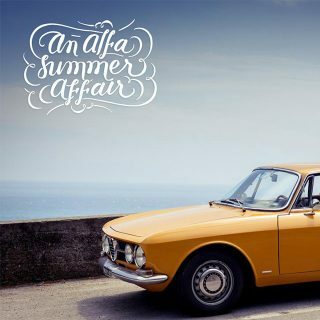 Click here to catch up on the rest of An Alfa Summer Affair. Can you give me your email address. 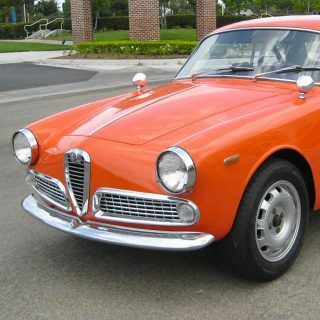 I have some question about the Alfa Romeo 1750 GTV. Thank you for sharing your adventures with Ludia! 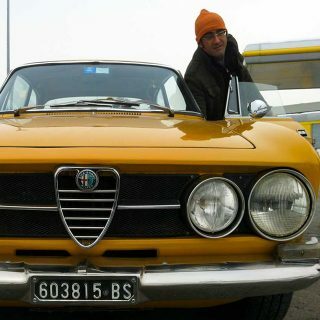 I own a similar coloured 1969 GTV and hope to one day tour Italy in mine. Congratulations on your wedding and the adventure that drew you both closer together in the days leading up to the ceremony! Thanks John! It was truly a beautiful adventure! The drives, the scenery, the towns and cities, and of course, the wedding. 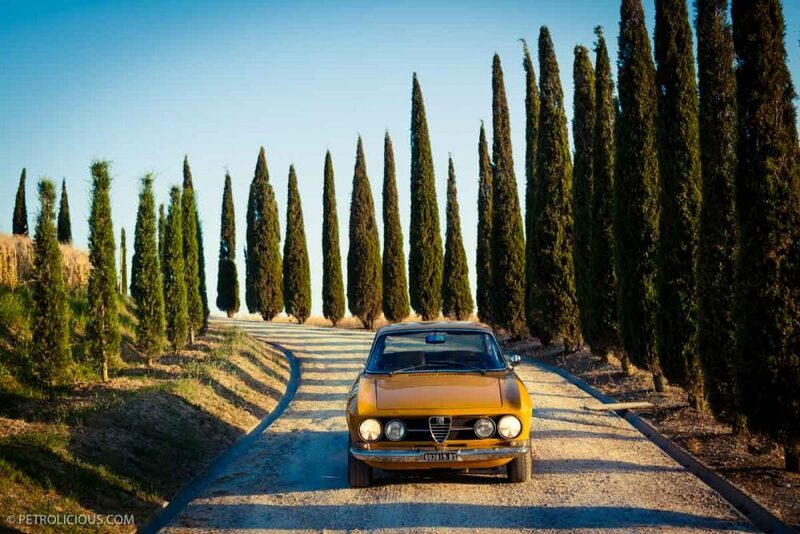 Hope you can pull it off and bring your GTV to Italy some time. Don’t hesitate to contact me for any tips, practical or otherwise.